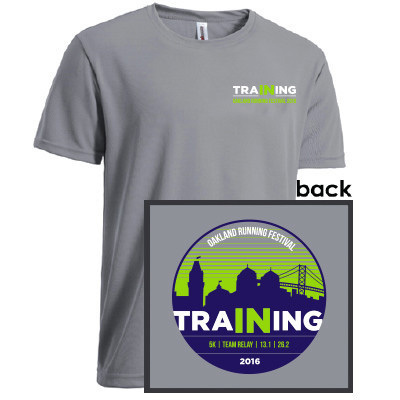 Let all your running friends now your goal with our 2016 Oakland Running Festival Training Shirt. This year’s version features the Oakland skyline on the back as well as race day. A4 Apparel. 100% Polyester. Moisture wicking. Odor resistant. Stain release. Taped shoulder seams. To purchase yours today, visit this link.